Click on a sermon series below to be taken to the teachings. The story of Easter is the dazzling centerpiece of the Bible. No other name has conquered the grave! And when Jesus has risen in us, there is no other resurrection story like the one God writes as we trust and believe! John writes three short letters to the church with one thing on his mind: Jesus. John wanted to get the church back on track and back to the basics by declaring the simple Gospel. Join us as we dive in and are refreshed by John’s excitement for the Gospel! Peter’s life was marked by great success and infamous failures. Through all of it Peter learned some eternal lessons that he shares with us in this letter to the early church that had been persecuted and scattered and needed strong encouragement and a dose of hope. The night Jesus Christ was born in Bethlehem, a small group of poor shepherds were quietly tending their flocks of sheep in a nearby field, looking up at the stars. Nothing seemed any different from a thousand other nights. But what was about to happen would transform not only their lives but billions of other lives as well. The world would never be the same again. 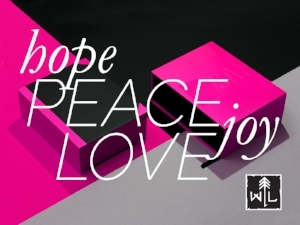 Pastor Dave Ford brings us this special Christmas message. Are you looking for practical direction as you journey in faith with Christ? You’ll find it here, in the book of James. James is packed full of practical wisdom for Christ followers who desire to put their faith in action. 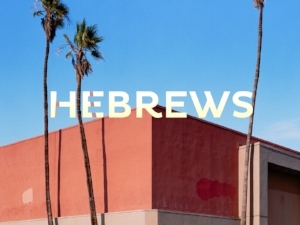 The letter to the Hebrews is jam-packed with pictures of failure and faith in God’s people. In the midst of it all is a portrait of Jesus that is perhaps the greatest in all of the Scriptures. Dive in with us each week, to be dared to believe in Him and to follow with newness and depth and excitement like never before! 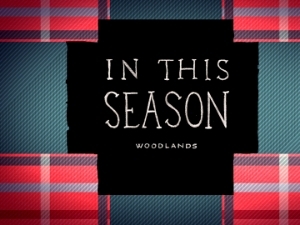 The story of Woodlands Church is one of God's unrelenting faithfulness. As people belonging to Jesus we have grown into a small community - one that God is now planting in the heart of the greater mountain community. The dream has always been to be more invested in the health of this place than in our own survival as a church. Now that dream begins a new chapter in our story. God put a special part of His nature into women, to display His care and plan for the world. He loves all women and so do we! 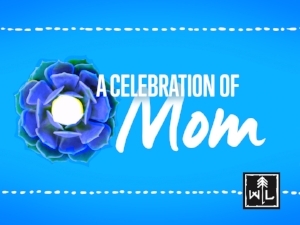 Listen to a special message that's sure to help you appreciate and better love the most important ladies in your life. Are you a bridge burner or bridge builder? Do you work hard to repair broken relationships or do you discard them? Listen in as we learn from Paul's letter to Philemon how to become bridge builders. Paul leaves his disciple Titus on the infamous isle of Crete, equipped with only the gospel of Jesus Christ and his own unique story. 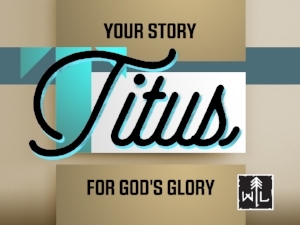 Discover how God wants to use YOUR story for His ultimate glory, if you are willing to tell it! Hope. Peace. Love. Joy. 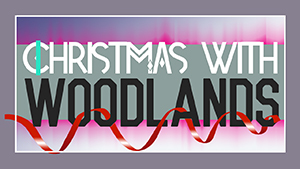 Listen in as we prepare our hearts for Christmas 2017. This is it; Paul's swan song. What would your last words be to your beloved friends, family, and church? 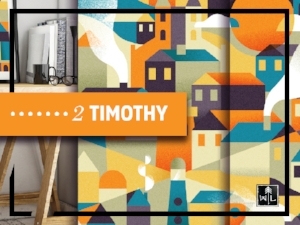 These are Paul's final written words to Timothy and the church of Jesus Christ. 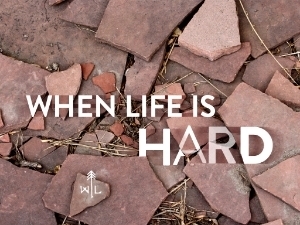 Listen in as we learn about firing up our faith and persevering to the end. Disciple Weekends exist to refocus us on the mission of the church: Jesus' mission to make disciples. 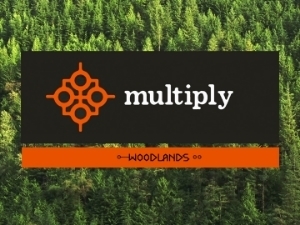 Once per quarter we take an entire service to refocus, encourage, and celebrate disciple-making at Woodlands. Anything worth building is worth building right! Join us as talk about the foundations of our church and the part we all play in the ministry God is calling us to. In this follow-up letter, Paul encourages the young church at Thessalonica to keep being the people that Christ has called them to be as they eagerly desire to learn more about His promised return. This letter, written by Paul, to the Thessalonians in one of his earliest writings. He writes to a young and growing church that needs encouragement to keep moving forward. Listen in as we learn from Paul how to keep going, growing, and moving forward. Hope. We look for it. We search for it. We want it. 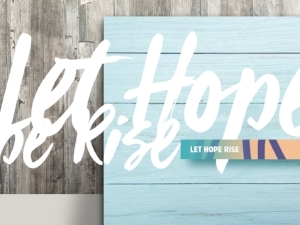 Hope comes from one place: Jesus Christ. Listen in as we prepare our hearts for the celebration of Jesus risen from the grave! What does the Bible have to say about giving? Isn't "tithe" an Old Testament term? Are there any promises about blessings if I give? Listen in as we explore what the Bible has to say about being blessed, giving, and receiving. Christ is supreme! That is the message that Paul writes to a young, vibrant church that happens to reside in a dying city. Regardless of life's circumstances being good or bad, we will only find purpose, fulfillment, and joy when Jesus Christ is supreme and central in our lives. From time-to-time it is great to hear from the heart of another person. 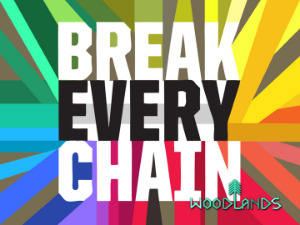 At Woodlands, we have a guest speaker once every two months to hear a fresh voice and give our pastors a break. 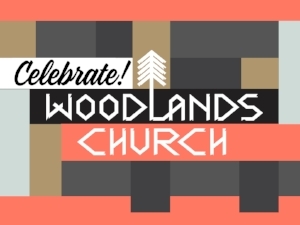 We have a lot to celebrate at our little church. Listen in as we celebrate all God has done and all we believe He is calling us to do in the future! Writing from jail, Paul pens this powerful letter to encourage the church to turn their gaze back to the joy and power of the Gospel. Paul also explains where real joy comes from: not from self but putting others first. Pound for pound there may not be another book in the Bible filled with more joy than Ephesians. Listen in as we rejoice in all that Christ has done and are transformed to live and love the way He did. Receiving the Gospel is one of the greatest joys of the Christian life! The Galatians had received the Gospel in joy only to be oppressed by false teachers imposing rules and laws on them that stole their joy. Rediscover the true joy of the simple Gospel with us in our study in Galatians! 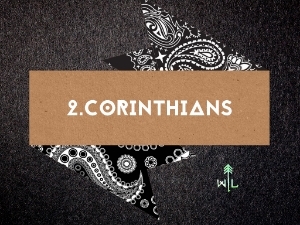 Paul follows up his first letter to the Corinthian church with this one. With a similar tone as his first letter,Paul attempts to encourage the Corinthians while helping them get back on the right track. Listen in as we are challenged by Paul's words to the Corinthians about life, the after-life, and everything in between. 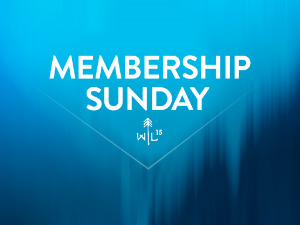 Daniel shares about church membership and what it means to become a church member at Woodlands. The Corinthian Church desired to follow Christ and live their lives for Him; However, they were surrounded by an incredibly sinful world that was constantly appealing to them to live the by ways of the world. Paul authored this letter to encourage, teach, and even discipline the church on the major issues they were dealing with--issues we still struggle with today! Join us as we dig deep into this very practical book. Romans has often been called the "Greatest Letter Ever Written" because it ascends the greatest peaks of Christianity while in the same breath examining the most foundational truths. Listen in as we learn about this letter written by Paul, chapter by chapter, learning about judgement, sin, punishment, grace, forgiveness, and faith, just to name a few of the topics Paul tackles. We know the story....Jesus lived a perfect life, died on the cross, and was risen to life three days later. But what happened after that? Jesus gave His followers some very specific instructions as He left earth; Acts is the story of what they did. Join us as we seek to be encouraged, motivated, and inspired to be the church we are called to be. Pastors Daniel and Luke share from their hearts about pain, struggle, control, and God's Will. Jesus prayed. The Early Church prayed. 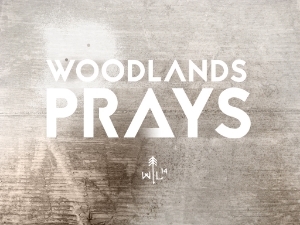 Why, then, has prayer turned into something that is supplemental rather than fundamental? Join us as we rediscover a passion and desire to pray and learn some practical tools we can use to develop our prayer life and relationship with God the Father, God the Son, and God the Holy Spirit. 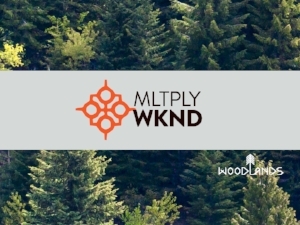 Multiply Weekends are designed to refocus us on the mission of the church, Jesus' Mission- To Make Disciples. 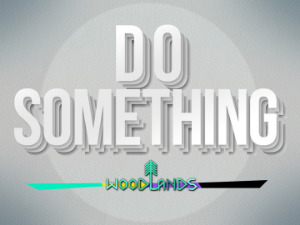 Once per quarter we take an entire service to refocus, encourage, and celebrate disciple-making at Woodlands. 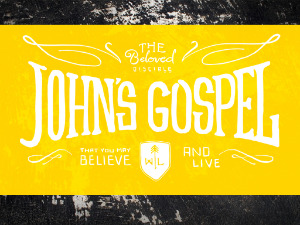 John's message through his gospel was "believe and live." Through this chapter by chapter series we will explore Jesus' life through the the close eyes of John who walked with Jesus. Whether you are a new believer or long-time believer, your faith will certainly grow through this gospel-centered series. 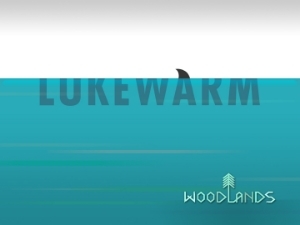 In our previous series "Lukewarm" we learned the importance of having a heart on fire for God. When something is set on fire it is "Marked" forever. What should those marks look like in the Christians life? If we are on fire for God in what ways should people be able to tell? 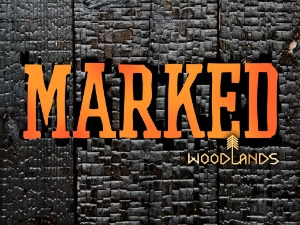 Join us as we seek to discover the ways we should be "Marked" by the fire in burning in our hearts. Are you on fire for God right now? The world needs to see followers of Christ who are on fire for Him. Its time to get on fire for God! Jesus' primary purpose on earth was to break the chains of sin in our life by going to the cross and being raised to life. Listen in as we take a journey of our own to the cross. We have a God-given opportunity to reach our community. We all have a responsibility to play a part in God's plan. So let's Do Something about it! For too long the Holy Spirit has been the forgotten part of the Trinity. Maybe its because the Holy Spirit has been shrouded in mystery and the unknown. Through this series He will be made known! 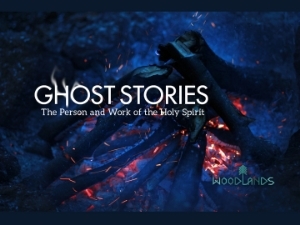 Listen in as we explore the timeless truths about the Holy Spirit and learn of the work He is still accomplishing. We must take Jesus at His word. All that Jesus commanded could be summed up into four of His words: "Follow Me...Make Disciples." It is time for us to stand up and fulfill the mission to which He has entrusted us. Paul wrote a letter to the Philippian church to encourage them on in their pursuit of following Christ. Even in the midst of struggle and suffering Paul was following Christ with supernatural joy. Listen in as we discover how to serve Christ with joy in the all seasons of life. What do we believe? What is Church? What are we suppose to do? Listen to this foundational series as we discover our identity.